Sunday the 8th of July, original june date clashed with IOM would be great to catch up again and meet some of the newer members..
Ride through Glencoe and around that way and take it from there. Hope you can make it.. Slow is smooth and smooth is fast! Dates changed to 8th of July, same time same place, June date clashed with IOM it seems.. should be good..
One of only two weekends of the year I could not make ! So now I’m in ! arrrgggh I’m in Amsterdam that weekend for my pals stag.. bugger! Changing roles at work so will need to see if I can get this off. Stoked for this guys, can't wait. Gonna be a topper of a meet up!! Thought I'd bump this up gents, how many can we expect do you recon, really looking forward to this..
Facebook page event on the AP FB page showing 7 confirmed as going and 22 others interested. So it'll be interesting to see how many turn up. It's been pointed out to me that the 8th clashes with BSB at Knockhill, is that a problem do you think? I'm easy about the date. I was supposed to be delivering one of the Biker Down courses on the 8th but I'm hoping another of my team can step in and cover for me. If we get weather like we have been having, it'll be an awesome run out. Was thinking about routes. If we meet at Tyndrum we could either head up Glencoe and on to Oban or alternatively from Tyndrum head out the road to Inveraray which I rode last Sunday and its a nice route too. That's the route I'd thought of, not to bothered about the BSB personally, I've did it every year for the last 6yrs so looking to do something different..Inveraray would be a good place to stop, there's a couple of good routes home from there depending on where folks travel from..I've a personal favourite coming down loch Eck to Dunoon and a short ferry crossing to Gourock, that's spectacular..
Open to suggestions m8, there's loads of good routes up around that way. I think since this is a bit of a 'one off' gathering that we should make a day of it and hit a decent length route. I'm going to have to overnight somewhere anyway as I am heading down from the North East possibly I will head all the way up to Ullapoool / Durness and back from there as I have not done that in a while . I've switched our Biker Down course from the 8th to the 29th July so I'm good to go!! I'll still be pestering you lot with Biker Down info at the meet up/ride out/clan gathering!! 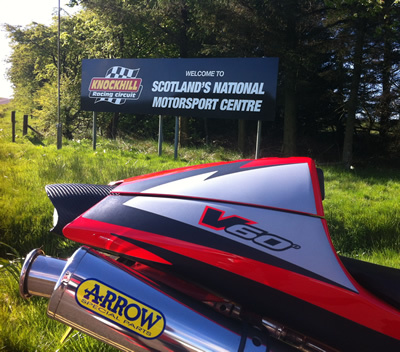 BSB Knockhill round is on the 8th so roads may be slightly quieter. Ok, potentially going to have to swap the date yet again as some folk are complaining that it clashes with BSB at Knockhill. I'm open to suggestions folks, we've already changed the initial date due to clashes with the TT so lets decide on a date this time and stick to it. 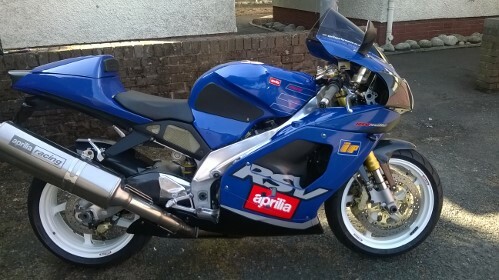 29th July isn't good for me as I'm delivering Biker Down courses at Callander fire station that day. It's make yer mind up time, folks. Pick the date , set it and that’s it . So people can get stuff arranged - then don’t change it . Date is the 8th Zax m8. There are a few who would rather go to watch BSB, which is cool. But changing the date to accommodate this isn't fair on those who have already committed to the 8th. So its staying as the 8th. For those who can't make it we can always organise another run in August. So who is still up for this folks? I'll post up further info on it all soon such as meeting points/times, route etc. Hope this one will result in a good turnout!!! I’m flying back from Oslo for this - so I’m in ! It's the 8th and its not changing at this late stage. really looking forward to it too..
I’m heading down from Ellon for this if there is anyone thinking of going from Grampian or Tayside give me a shout if you want to meet up for the run through to the welly. 2. I'm advocating a 'No overtaking in the group unless the rider in front indicates to you they want you to'. Thoughts on that? I've seen too many 'blue on blue' collisions to know this is a reasonable rule to follow. Also, 'ride to the rider behind' - keep your eye on your buddy behind you, if you round a bend and accelerate on a straight, check for the guys behind you to see if he is still there. If he isn't after a reasonable time, slow down and observe until he comes into view. If he still doesn't come into view, slow right down, possibly even stopping to wait. Maybe even going back to check whats happening. 3. Ride in formation - The rider in front rides at the right side of centre position; the one behind him on the left side of the same position, the one behind him on the right side, etc. Keep reasonable distances between each other. NOT for corners, everyone pick their own line through corners. 4. Maintain observations at all times/shoulder checks and lifesavers. Use your own judgement when planning overtakes, don't play 'follow my leader' with the guy in front. Don't feel pressurised to 'keep up' - if the pace seems too quick, speak out, there's no shame in that - I've done it myself on a few group rides when the group has never ridden together before. Ride to your own capabilities. 5. If the group appears to get separated by say traffic lights, busy junctions etc, the lead rider and those behind him should pull in at a safe area ahead (lay-by or similar) and wait till the rest catch up. 6. We will discuss rest stops/fuel stops at Tyndrum before heading off so everyone is aware. 7. If anyone is going to leave the group ride and head off for home etc, please let us know before you bugger off. ......but this is the first time we've all ridden together and as I'm sure you will all appreciate, group riding takes a bit more forethought and planning than nipping out for a quick bimble with a mate. Let’s see who turns up and work it out from there . Sooo....I'll not be there tomorrow. Had issues with my collector box splitting a weld, which I got fixed via a mate who is handy with TIG welding. Then today I decided whilst I had all the bodywork off anyway, to do an oil and filter change. Result of which was I snapped the head off the oil drain plug. Can't get one until Monday afternoon from local dealer. Can't ride the bike as the drain plug is now not 'under torque' and spins easily - it could dump the contents of the oil tank under my back wheel at any time if I went out on the road. Tried a few avenues today to get a replacement to no avail. Gutted. Was hugely looking forward to this, meeting up with everyone and the weather is supposed to be superb. Need to get another organised for August when I'm back on the road. Enjoy guys, stay safe. Get pictures!!! How did it go today guys? Good run out? Did anyone get pictures? Still fuming that I had to miss this.